Full, medium-sized uniform for 1st Class Sergeant, 79th Aero Squadron, U. S. Army. Includes jacket, shirt, pants with belt, hat, and 2 puttees. Some holes and tears. Newell Edward Morton lived in Conway for many years and was a member of the Morning Star Lodge of Masons in Conway. 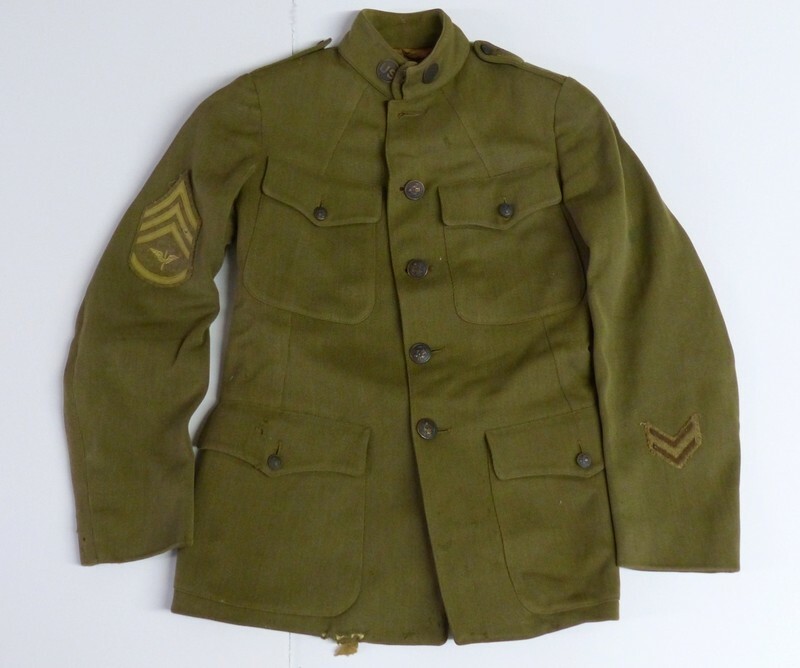 United States Army, “World War I Uniform of Newell Edward Morton,” Conway Historical Society, accessed April 21, 2019, http://conwaymasshistory.org/items/show/420.